This is not as far-fetched an idea as you might think. Our Lincoln Navigator limousines are ready for hire whenever you are. Perhaps a trip to the airport is in your future. Why not take one of our new Lincolns ...you will never regret it. There are many different benefits of the Lincoln Navigator Limo, some of which are the innovative power-run running boards, that move quietly and smoothly in and out as you enter and exit the vehicle. The cars have a sensing system for the front and rear of the cars, and a rain-sensing wind-shield wiper. All this is automatic. There is also a monitoring system for tire pressure, (another safety feature), and the car can run on regular gas, or E85, which is a combination of regular gas and ethanol. When fully equipped, the Navigator can tow as much as 8,700 pounds. An amazing vehicle in many ways. When you are in need of a limo that has to go on a long trip, this is the one for you. Anything you need to have towed will be accommodated, and there is considerable room in the interior for papers or other business items that must be spread out. Your ride will be comfortable and stable, allowing you to take care of whatever business needs to be attended to. The exterior of the Lincoln Navigator Limo is one of strength and power, with chrome accents which add stylishness and a touch of sophistication to its already compelling appearance. The safety canopy system is another feature which ensures a secure ride, and there is also a rear view camera for further safety. This Lincoln Navigator Limousine has a network of sensors that take care of anything that may come up. In the event of a frontal collision, the dual-stage front air bags deploy according to the information the sensors pass to them. The driver can keep in touch with the outside world by a voice or touch command allowing them hands-free calls or notifications. Our Lincoln Navigator Limos are fully equipped with anything you would need on a trip, whether it is to the airport or to another city. 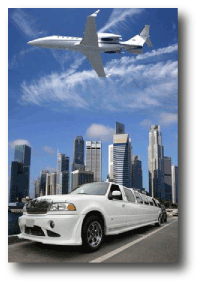 We are at your service with our fleet of Lincoln Navigator Limos and our courteous staff of licensed, capable, limo chauffeurs. When you decide to drive with us, you are making the best decision you could ever make. Your comfort, safety and peace of mind are our most important qualities, and we extend them to all our regular and visiting customers at all times.